Strava Global Heatmap highlights roads used by Strava riders in our area: red indicates the most activity, violet indicates moderate activity, and blue the least activity. Note: riders should exercise caution whenever they are on public roads and use good judgement to determine the suitability of any route to their own comfort level and safety. Bike-Friendly Roads and Trails on Google Maps. Bolingbrook Park District Multiuse Trail Map (pdf), existing and planned bikeways along the DuPage River and throughout the area. Busse Woods/Ned Brown Forest Preserve Trail, a 7.3 mile paved trail with several side loops. Cal Sag Trail, a 13 mile paved trail along the Calumet Sag Channel from Route 83 to Alsip. Centennial Trail, a 12 mile paved trail along the Des Plaines river from Willow Springs to the I & M Canal (Lockport) Trail in Romeoville. Chicago Bike Map (pdf), detailed on and off-street bicycle facilities from the Chicago Department of Transportation. Chicago Lakefront Path, a popular 18 mile mixed-use paved trail from 7100 South to 5800 North. Cook County Forest Preserve Trails, comprehensive list with detailed interactive maps. DuPage County Bike (pdf), county-wide trails and bicycle level of service ratings for collectors and arterial roads. DuPage County Map of Bikeways and Roads Suitable for Bicycle Travel (pdf), county-wide trails and networks of local roads. 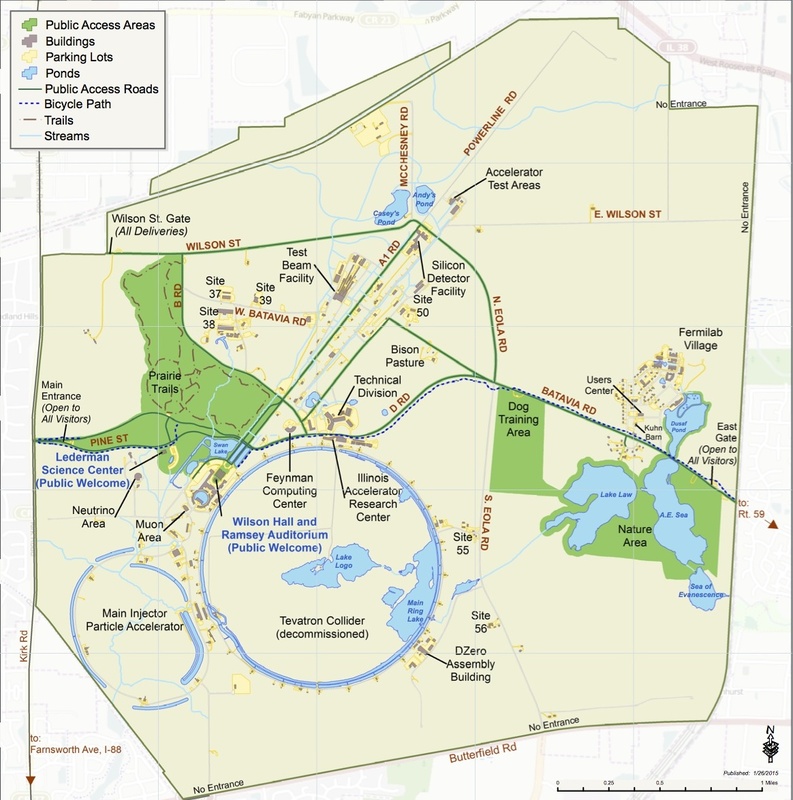 DuPage County Forest Preserve Trails Guide, comprehensive, including: Blackwell, Danada, Greene Valley, Herrick Lake, McDowell Grove, Springbrook Praire, Waterfall Glen, West Branch & other FP trails. DuPage County Trail Map (pdf), county-wide trail system overview with regional and local trail surfaces. DuPage County Trails App, current information and maps of the county's regional trail system. Fermilab Bike Path and Roads (jpg) shows public access areas and roads. Fox River Bicycle Trail System (pdf) from Aurora to Algonquin; includes Virgil Gilman and western Great Western trail. Great Western Trail - Kane Co., an 18 mile limestone trail from St. Charles to Sycamore. Great Western Trail - DuPage Co., an 11.6 mile limestone trail from the Illinois Prairie Path in West Chicago to Villa Park. I&M Canal Trail - John Husar(pdf), a 5.4 mile paved trail section between Route 83 and Willow Springs Rd. I&M Canal Trail - Lockport, a 7.55 mile limestone/paved trail from Romeoville to the Joliet Iron Works Historic Site. I&M Canal Trail - west, a 61.5 mile limestone/paved trail from Rockdale to Peru. Kane & Northern Kendall County Bike Map (45 MB pdf), county-wide trails and bicycle level of service ratings for collectors, arterial & local roads. Illinois Bike Trails (pdf), comprehensive statewide trail index. Illinois County Bike Maps with bicycle level of service (BLOS) rating. Illinois Prairie Path, scalable and pdf maps for the five trail segments. Naperville Bike Map & Guide (pdf) to bike-friendly streets and trails. Old Plank Road Trail, a 22-mile recreation and nature trail from Joliet to Park Forest. Palos Trail System, a popular and extensive trail system winding through the 15,000 acre Palos Preserves. Prairie Trail (pdf) extends the Fox River Trail 26 miles through McHenry County to Genoa City, Wi. Includes Hebron Trail. Salt Creek Greenway Trail (pdf), 27 miles mixed-surface following Salt Creek from the Brookfield Zoo to Busse Woods Forest Preserve. Southern DuPage County Regional Trail (pdf), from Aurora to Hinsdale with spurs to Green Valley FP and Waterfall Glen FP. Virgil Gilman Trail (pdf), an 11.4 mile paved trail from Waubonsee Community College to Montgomery. Waterfall Glen Trail (pdf), a popular 9.5 mile circular limestone trail around Argonne National Laboratory. Wisconsin Bike Trails, a searchable list of road and mountain bike routes. Wisconsin State Bike Trails, a searchable list of state bike trails.